fruit of the loom jerzees heavyweight t shirt. each t shirt is made of a high quality 50% cotton 50% polyester blend and features a seamless rib collar shoulder to shoulder taping and double needle sleeves and bottom hem for durability. perfect for tie dye fabric paint and embellishing. 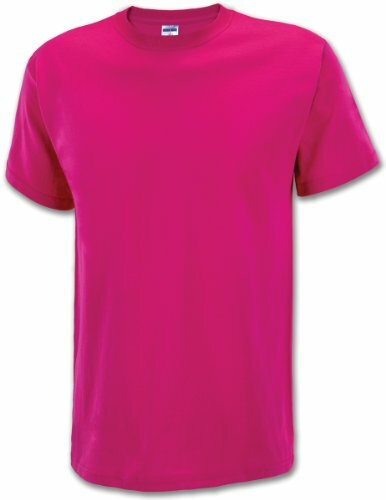 this package contains one adult t shirt in cyber pink. imported.